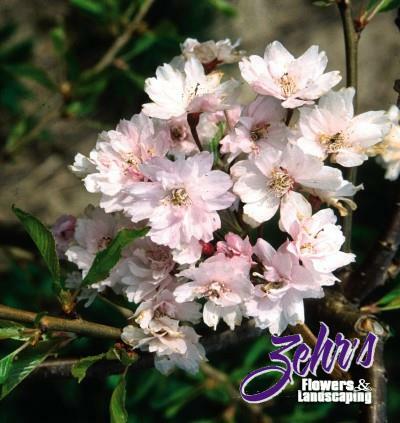 A Lake County Nursery 'ZAM' introduction, this small strongly weeping tree is covered with snow white flowers in spring, creating a fountain of single white blooms. The small dark green leaves turn golden to orange in fall. Fruit is small and black, but sparsely produced.